UXBRIDGE, ON – The Second Wedge Brewing has announced the return of a seasonal beer brewed in collaboration with the Society of Beer Drinking Ladies (SOBDL). A dark saison for the cooler months! Sweater Weather offers comforting aromas of orange peel and chocolate, then reveals deeper raisin and coffee flavours on the sip, finishing dry and effervescent. 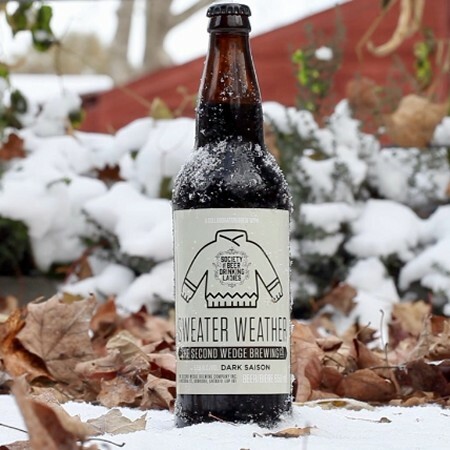 Sweater Weather will be available at Second Wedge in 650 ml bottles and on tap while supplies last. A portion of sales will be donated to the Canadian Women’s Foundation.